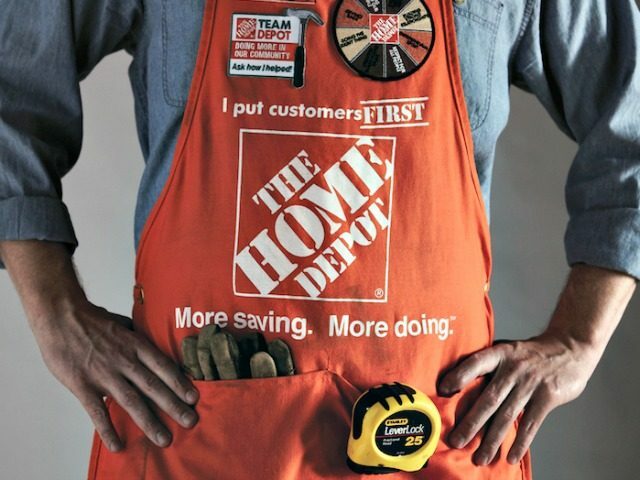 Home Depot announced that their workers can receive up to $1,000 bonuses thanks to the recently passed Tax Cuts and Jobs Act. Home Depot’s hourly employees will get at least a $200 bonus; the bonus scales up to $1,000 for employees who have worked at least 20 years for Home Depot. The American economy continues to thrive under President Donald Trump. Starbucks announced on Wednesday that they will spend $250 million of its corporate tax cut to boost the pay and expand the benefits of its domestic workers. Apple announced on Wednesday that it will invest $350 billion in the U.S. economy over the next five years, in part thanks to the recently passed Tax Cuts and Jobs Act. Walmart, America’s largest private employer, announced last week that they will provide a one-time bonus, raise wages, and expand benefits to their employees in response to tax reform. Well over 100 American companies gave their employees up to $2,000 in bonuses after President Trump signed the Tax Cuts and Jobs Act. Several corporations such as AT&T, Comcast, and Nationwide also increased their 401(k) match rate, raise their minimum wages, and increased domestic investment because of the Republican tax bill. American unemployment claim benefits remain at a record 17-year low and American consumer sentiment reached its highest level since 2000.